Last week saw the arrival of our latest Tingdene lodge – a 40′ x 20′ Woodland Oak model with upgraded kitchen and en-suite. AVAILABLE FOR SALE. Now in place at plot number 7, the lodge is undergoing finishing touches to the interior to join the two halves of the home. Gas and water connections are in place and work is well underway on the brick skirting, front steps and raised patio area. A block paved driveway will follow and the steps and patio will be finished off with a set of handmade, decorative metal railings. The garden will be the final focus, grassed with a paved footpath and a metal storage shed to the rear or the lodge. Number 7 completes the row of timber lodges on the eastern side of the Park (8 lodges in total) and at this time of year especially with the gardens in full bloom, swans on the river and late sunset over the castle, the attraction of the location is evident. Photos of the interior will be posted here over the next few weeks. 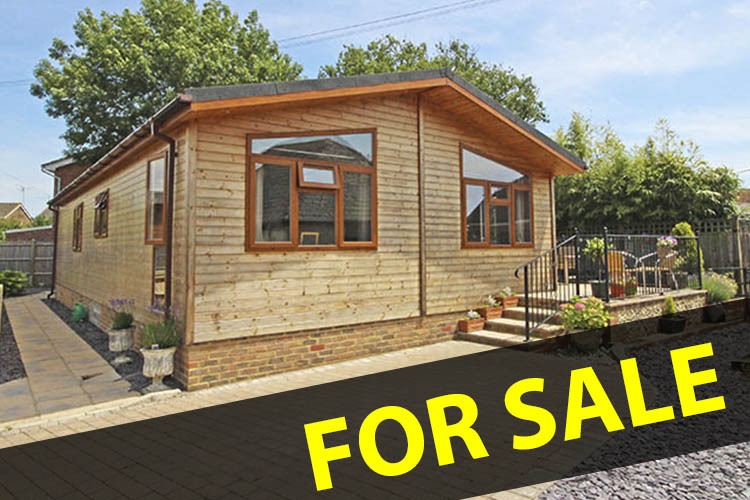 This entry was posted in buying a park home, park homes for sale and tagged for sale, Residential Park Homes, riverside park, Tingdene, upper beeding on July 6, 2016 by riversideparkbeeding.